Good leadership matters. It can shape nations and change the futures of many millions of people. Where would South Africa be without Nelson Mandela and Archbishop Desmond Tutu, the Civil Rights Movement without Martin Luther King or American without its founding fathers? They were people of extraordinary vision, commitment and dedication to principles. In all of these cases, the influence of Morality on these leaders made a profound difference in the way they viewed the world and in the way they responded to the crises they faced. Their leadership averted the very real possibility of disaster and instead brought healing for the past and set a framework for a better future. Right now, Ethiopia is facing the possibility of imminent disaster. Ethnic apartheid policies of the TPLF and hunger, widespread human rights atrocities, the imprisonment of thousands of political prisoners, the lack of any justice, the criminalization of dissent, the closing of all political space, the implementation of draconian laws against civil society, anti-terror law and the radicalization of some Ethiopians to this authoritarian regime and its supporters are all independent risk factors; but when combined together, greatly exacerbate the gravity of the problem. Ethiopian need true and visionary leaders who can gives hope to all the people of Ethiopia including the poor, the most marginal, the forgotten,the ignored, the hated or the discriminated Ethiopians. 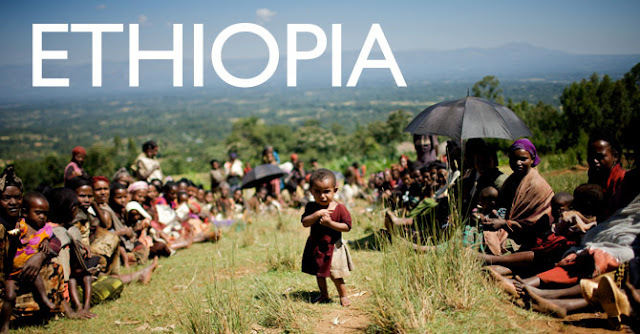 These most vulnerable Ethiopian populations are us and we are them. Ethiopia as a country cannot survive or thrive without them. May God be merciful to us, bless us and help us find true Ethiopian leaders with vision, talent, encourage and the time to build a new, better, more humane, more just and more harmonious Ethiopia for all.